Well, we haven’t had a Festival Friday for a while. To celebrate World Environment Day, this week we would like to offer something different. 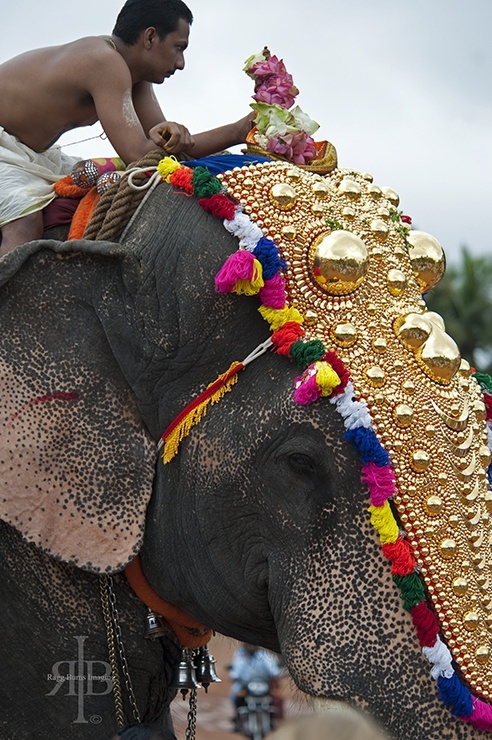 An article on the Onam festival in Kerala, and some thoughts on the fate of temple elephants. Kerala has something different from the rest of India. A mellow, slower pace of life. Touts won’t bother you, rickshaw-drivers are likely to be napping on the back of their vehicle. If you have read Arundhati Roy’s The God of Small Things, you’ll know what I mean. 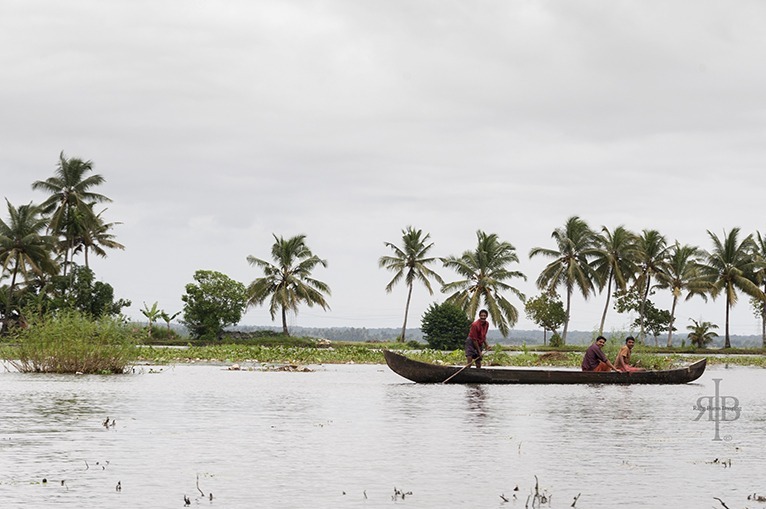 Kerala is a place of crumbling colonial architecture and steamy forests, criss-crossed by canals and fringed by beautiful beaches. 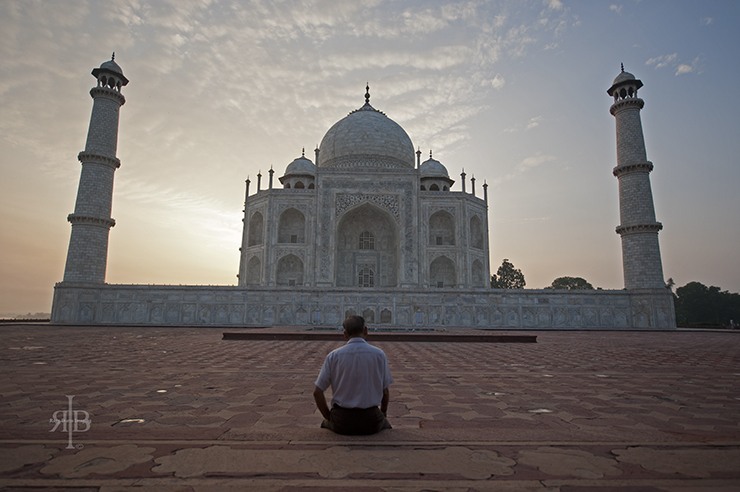 It is also one of the most culturally vibrant Indian states, home to several ancient rituals and celebrations. An example is Onam, the state’s most important festival, celebrated yearly between August and September. The festival includes several events happening over a ten-day period. Visit Kerala during Onam and you’ll find flower carpets known as pookalam on every doorstep, traditional dancing, theatre representations and elephant parades, especially on the first and last day of Onam. 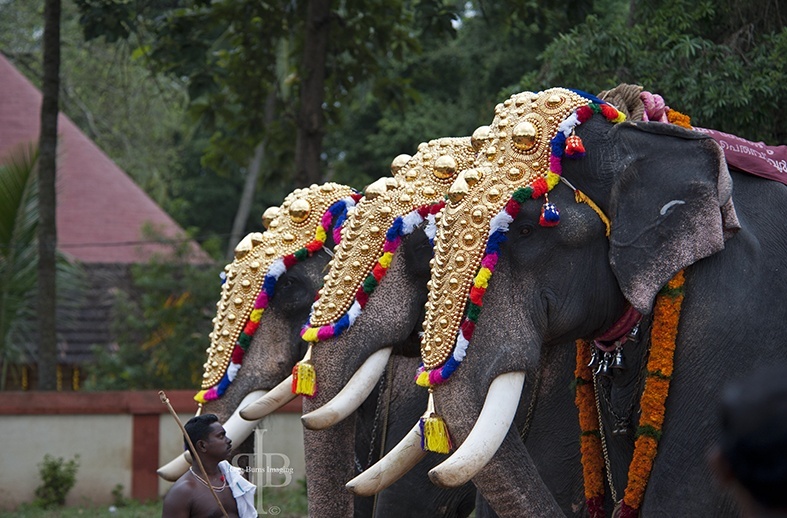 Elephants are strongly related with the history and culture of the state of Kerala. They are featured in several local legends; each volume of the Aithihyamala, a collection of Keralan historical anecdotes, concludes with a tale about a legendary elephant. The elephant is also the state animal of Kerala; about six thousand wild elephants live in the state’s national parks and nature reserves, while fewer than one thousand elephants live captive in the state, owned by temples or wealthy families. The elephants’ care is entrusted to their keepers, known as mahouts. 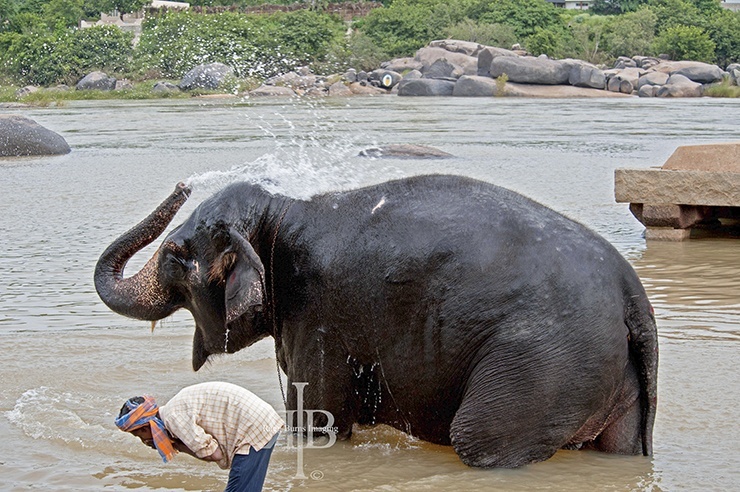 The main task of mahouts is to bathe and massage the elephants, and to administer Ayurvedic treatments during the monsoon season. Sounds like the elephants enjoy semi-divine status, right? Unfortunately, the truth is rather more complicated. Elephants are a status symbol in Kerala, and ownership of one can be a very profitable business. 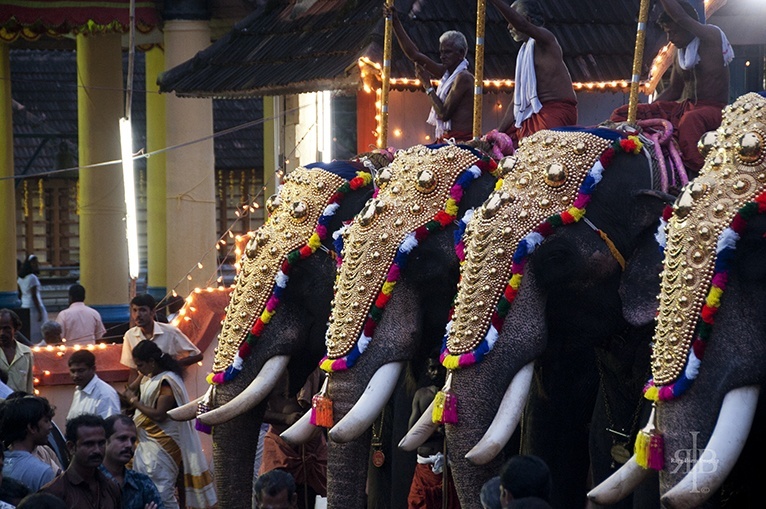 No festival celebration is complete without a parade of caparisoned elephants; as not all temples own elephants, often they are rented for the day from private owners, with a price tag of up to $5000. With a total of 10,000 festivals and parades throughout the year, and a captive elephant population of 750 (in 2010), the situation is clear: the animals are overworked. On a single festival day, elephants have to walk several kilometers, their heads decorated with heavy caparisons, carrying people and effigies of deities. On top of long parades, elephants have to endure the noise of orchestras and firecrackers, walking on hot, tarred roads. 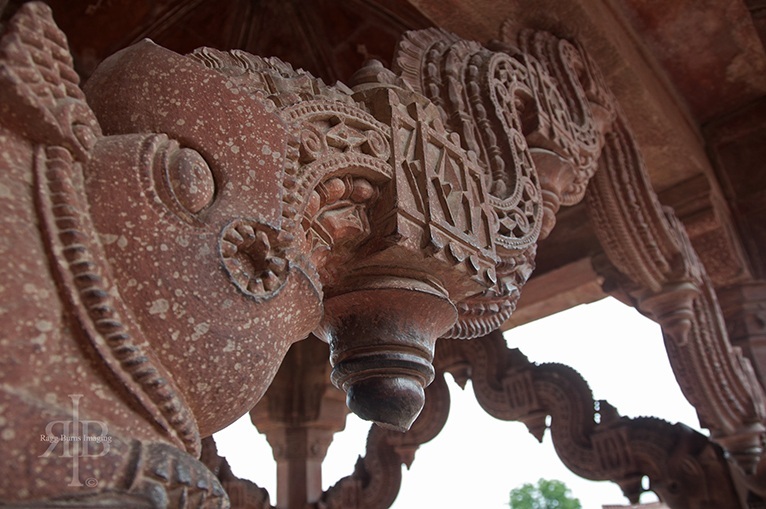 Back-to-back festivals mean that the elephants’ needs are not taken into account when travelling between one temple and another. The animals are forced to spend hours in ramshackle vehicles, with little water, food or sleep. More often than not, mahouts are far from being gentle souls. A BBC report states that up to half of mahouts were found to have drinking problems. 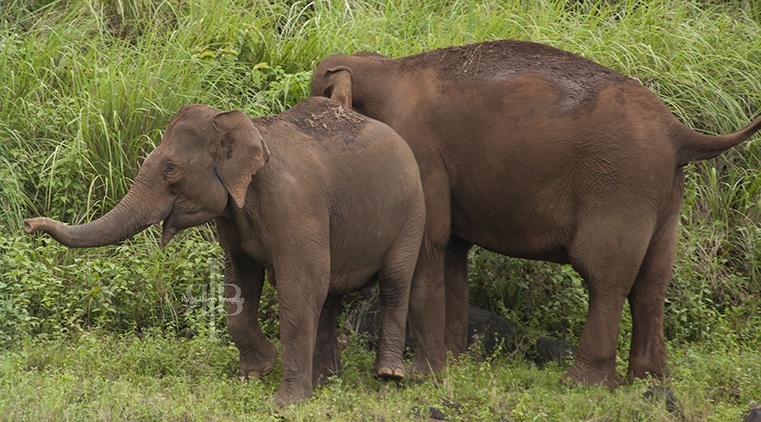 Keralan newspapers often feature elephant accidents; elephants meeting their death after being repeatedly abused by their mahouts, or killing the mahout in sheer desperation. Between 2010 and 2013, a ban in bringing captive elephants into Kerala from other states, and an end to elephant ownership certificates, have cut the number of captive elephants in the state to 500. While this may sound like good news, it means that the remaining elephants will have to work harder to make up for the shortage. This article by The Hindu reports that the elephants’ price tag and the profitability of the elephant-renting business has increased further. Now, I am not denying that elephant parades are spectacular. I am merely trying to raise awareness on the elephants’ appalling working conditions. I appreciate that elephants parades are an integral part of Keralan culture and tradition, and I am aware that the state of Kerala has put forth regulations in the use of elephants during parades. I would like to invite readers to help spreading Sangita Iyer’s campaign For the Love of Elephants. Sangita is an environmental journalist and filmmaker who is currently in India filming a documentary to expose the dreadful living condition of temple elephants, and the suffering they have to go through in the name of religion. The documentary will also offer alternatives to the use of temple elephants and provide owners and mahouts with positive reinforcement techniques, to further the connection between handler and animal. Follow Sangita’s campaign on Facebook and read her articles on the Huffington Post if you wish to know more about her work. I cannot express my admiration for this courageous woman highly enough. Kerala was my favorite state in mainland India. It’s mellow, cleaner and people are generally respectful. These photo are absolutely amazing, thank you for this post. Hey Yara! I agree with you, Kerala is great. I was so upset when I discovered this story. Hope it helps raise awareness. Elephants all around Asia are unhappy, like in India or Thailand, for example, where tourists pay money to see them, so their owners care only about their pockets full, not about the animals. As a consequence, elephants get severely beaten. It’s awful. You’re totally right Illia. It’s disgraceful. Hope my post will raise a little bit of awareness; if not, I’m sure the documentary will. It is incredibly sad to hear about the abuse of these beautiful animals. I’m glad to hear that a documentarian is making a film, which I’m sure will continue to raise awareness. Thank you for this post, it’s important to know the back story of the elephants. Thanks for your comment Dave. Raising awareness is so important. I can’t believe how many people paid money to ride elephants or to get silly pics on the back of them. This is so sad. I always imagined that the Mahout and the elephant grown into a beautiful relationship together, getting an important part of eachother’s life. Hopefully Sangita’s campaign will go somewhere and help on that matter! What an important and saddening post! Great to know that there are people like you and Sangita who are trying to create awareness and also improvement of the living conditions of these animals! Fantastic photos! I don’t think I’ve ever seen an elephant in real life! Such a shame to think of those beautiful creatures being so overworked. They look fantastic in the parades and, since they’re such an important part of a festival, they ought to be cared for better. Elephants are lovely animals, and it is good to see people exposing their poor working conditions. Hopefully with enough pressure something can be done about this. Wow! Beautiful pictures! These are still wild animals and as much as they decorate them its sometimes difficult to comprehend animal abuse in the overworked services they are made to provide. I totally agree with you about the plight of the elephants, I have written a lot myself on the mistreatment of many animals around the world and it breaks my heart. At the end of the day, tradition and culture can never be an excuse for animal abuse. Thanks for letting me know about that campaign though, I had no idea about it but am off to check it out now. I always feel for the poor elephants not only are they overworked now they are not treated well when they are being trained either. Well done on letting people know about the downsides of the trained elephants around the world. We were fortunate to spend some time at the Elephant Nature Park in Thailand where they have rescued elephants it is good to see someone in India is helping them too. Holiday makers can be so oblivious to the actions they have when they visit places and think they are helping by paying for elephant rides, or helping clean them in lakes and rivers, but are sometimes so far from the truth of what actually happens. I look forward to hearing more about the documentary. Hey Brad. You’re so right. I’m sure the documentary will raise awareness, and it will mean the end of this meaningless torture. I hope your article and the documentary will raise awareness! I’ve never been to India but saw the same thing in Sri Lanka, Thailand and other Asian countries…I cannot say whether or nor not those elephants were unhappy but they could definitely be treated better. Thanks for your comment Elena. All we can do is help Sangita spread awareness. It always makes me sad how animals are treated around the world. Not only the elephants but sharks, rhinos,…you name it. That´s why I stopped eating meat and fish last year. It might not change the world but maybe it makes a little difference. Hey Christina. You’re so right. I have tried being a vegetarian once, but failed miserably. I might try again in the future, but in the meantime I will try to help by spreading awareness with articles like this. Hope it helps. Great photos and article. It’s amazing to witness elephant parades but it’s also important to bring awareness of their conditions. Cheers for sharing! You’re totally right William. Thanks for your comment! Thanks for the post and the heads up on the campaign and the documentary in progress. Will help spread the word. Thanks Bob. I really believe in this documentary and I’m sure it will make a real difference for elephants in India. This breaks my heart. And the role tourists play in all of this is so sad. How people can overlook something like this and remain naive blows my mind. Great article, you’re doing so much good by spreading the word on this issue! That’s exactly how I felt Calli. This post is a small gesture to help these amazing creatures. Thanks for your comment! It breaks my heart to see things like this. I agree that elephants in religious parades are beautiful (as your incredible pictures prove! ), but it makes me so sad to know that behind all the sparkle is an ugly truth. I really hope the conditions for elephants will improve as awareness of their poor working conditions spread. Thanks so much for writing about this! You’re so right Anna. I hope things will change, and I’m sure the documentary is a step in that direction. Being an activist, it really appalls me how these gentle beasts get treated. My visit to a Thailand sanctuary first made me aware of the way elephants get treated, but then reading stories like this and others really feeds the fire of my disappointment. I would venture to say most tourists don’t know what goes on “behind the scenes”, and I am hoping this would shed some awareness. I am sharing it, thank you. Thanks Rashad. Raising awareness was exactly my aim. I hope it will indeed make a difference. Thanks for bringing awareness to the ugly side of what is meant to be a beautiful festival. The treatment of these intelligent creatures definitely needs to be at the forefront. You’re so right Brianna. I hope things will change soon. Sangita’s work is amazing, she’s so brave for what she’s doing. I loved your srticle! 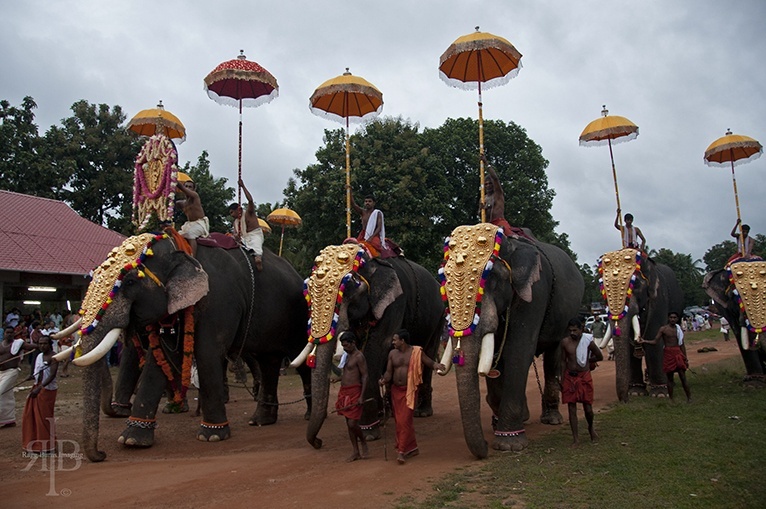 I lived in Kerala as a child and remember the elephants and the tempel ceremonies very well. Wow Bente, living in Kerala must have been amazing. Thanks for your comment! Those elephants look so regal in their colorful gear. Too bad that they are so badly treated. I wish Sangita’s campaign all the luck in bringing awareness to this issue and also educating the people directly involved in how to humanely treat these beautiful creatures. I expect that years of tradition will be difficult to alter but perhaps a few can start setting an example of how positive reinforcement is effective and others will follow. You’re right Michele. Sometimes it’s really hard to change tradition, but we need to start taking steps in the right direction. Thanks for your comment! You’re so right Samantha. What is happening is disgusting. I hope my post will help raise awareness. While I won’t disagree that Elephant parades are spectacular I hope more tourists become aware of what happens behind the scenes. I have often seen many spectacular animals shows and wonder how they are treated in real life. I have read many successful stories about animals being treated better after awareness was raised so lets hope this will be another success story. Hey Samantha, I do hope too. It’s really sad, what happens to these wonderful creatures. Great article, thanks for bringing awareness to this issue. Many people are oblivious to the mistreatment of these animals. I am glad that you and others are trying to make people aware of what is being done to these beautiful animals. Thanks guys. I know it will never be enough, but I hope I can help these beautiful animals a little bit. This is a sad story, but it’s fantastic that you’re using your platform to raise awareness and spread the word of positive change. Keep up the good work! Hey Jules! I hope I’ll be able to do something to help these creatures. Thanks for stopping by! Yes, it’s sad to see these gorgeous, stunning and gigantic animals have to suffer from so small, materialistic and ungrateful species like SOME humans are. Hope the movie will bring awareness and to help the elephants. You’re so right Maria. I can’t thank Sangita enough for what she’s doing. She’s a real inspiration to me. Those poor Elephants. Cruelty is hard to bear. Elephants are such beautiful animals. They’re social, intelligent and charismatic yet even the most beautiful animals are mistreated. Imagine what they’d do to ugly, unpopular animals…? You’re so right Stacey. It makes me so angry. This must stop. I’m not surprised by the mistreatment of the elephants in your story. We’re currently in Chiang Mai, and we head to India on Wednesday. Since being in Thailand for the past two months we’ve learnt all about the appalling treatment of elephants used for tourist riding by their mahouts. I encourage everyone to think about what these magnificent creatures endure before riding them. Thanks for highlighting the plight of the elephants in Kerala. Thank you for stopping by Chris. Sangita’s work is amazing and inspiring, my post was just a small contribution to highlight what she is doing for elephants.